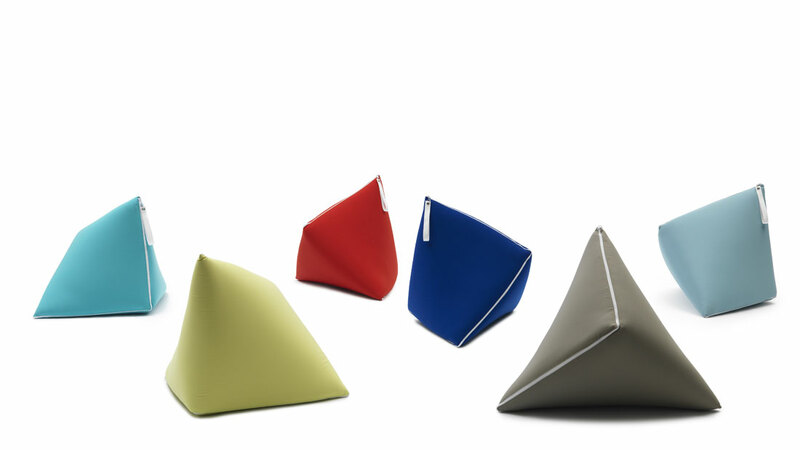 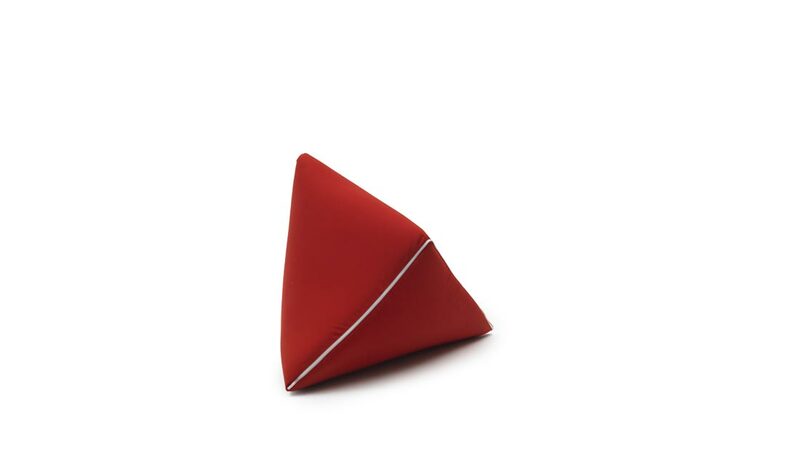 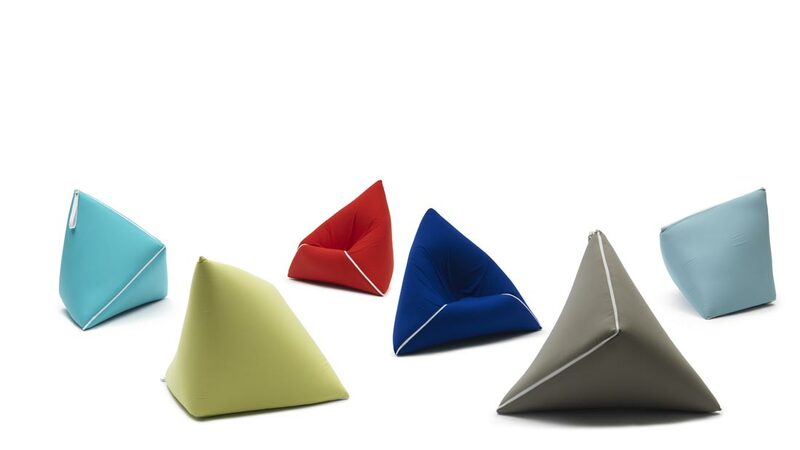 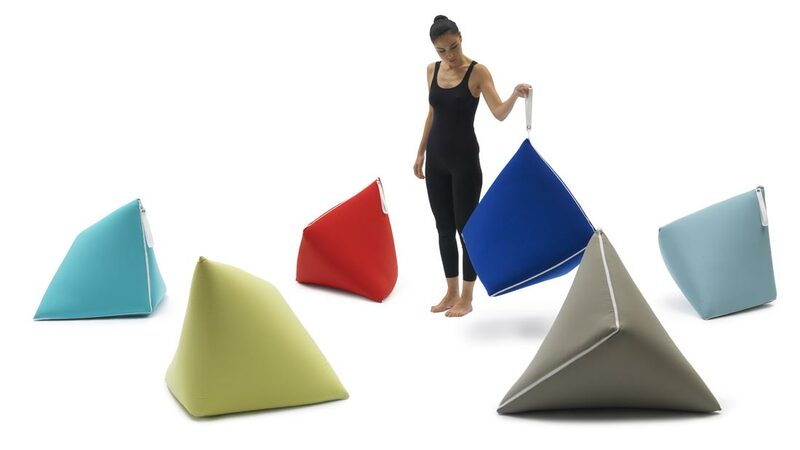 TOU is a bipyramidal bag-like container which makes you feel like in a cozy island. 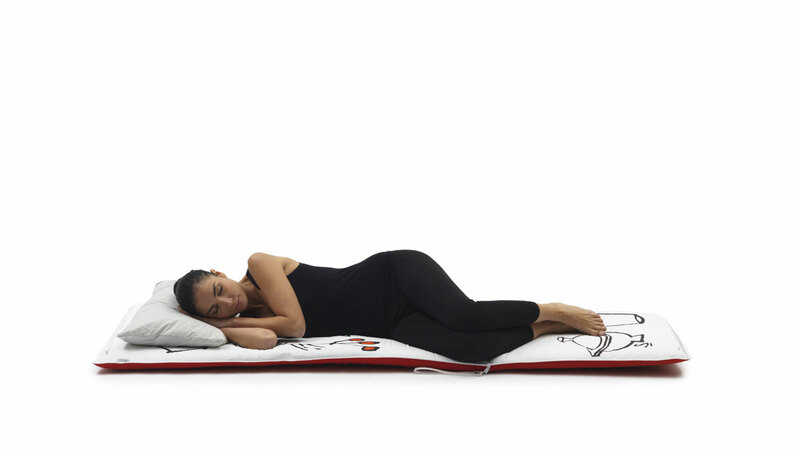 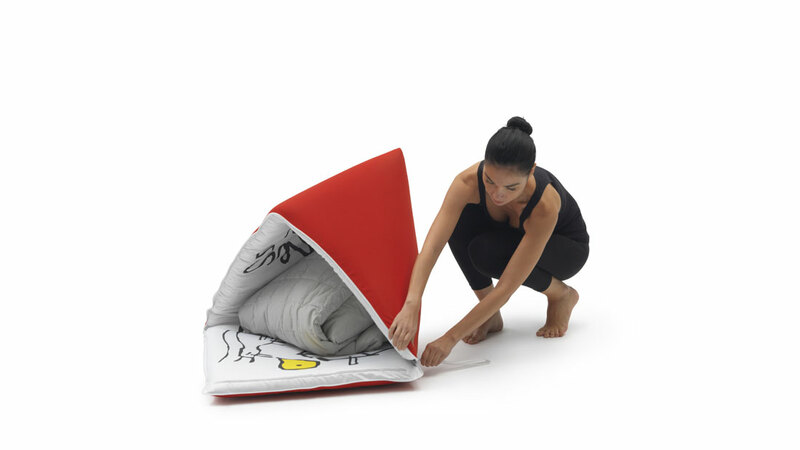 By opening the zip along the bag, the container itself transforms into a futon mattress. 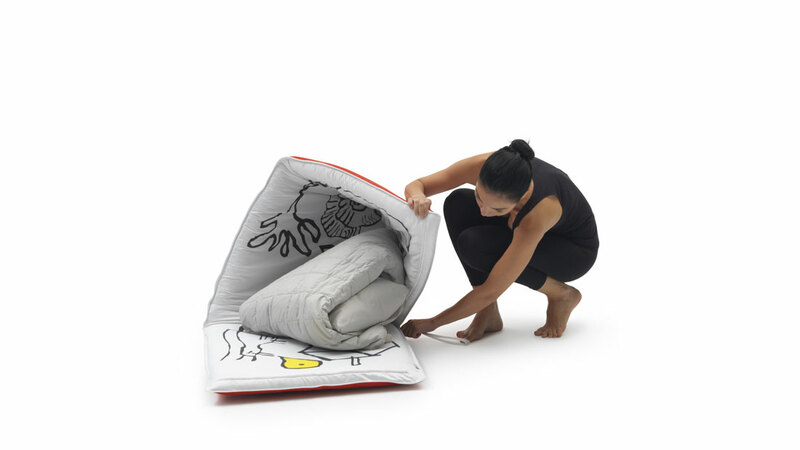 Pillow and blanket are stored inside the bag to create a complete sleeping environment anywhere you like. 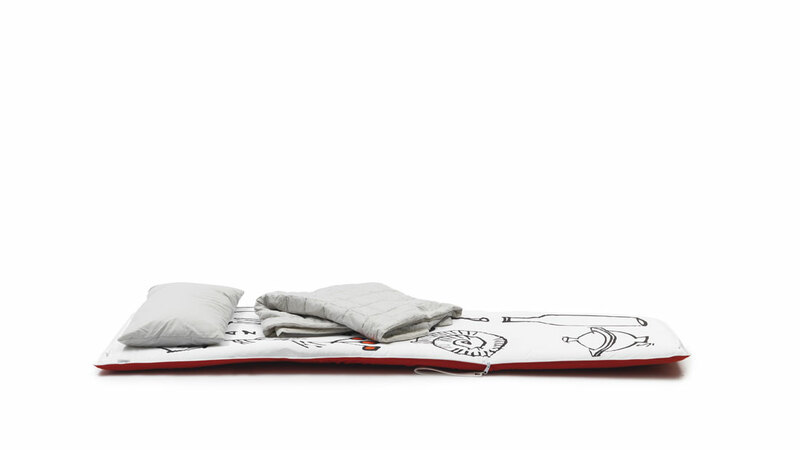 TOU is lightweight & portable and has been designed for indoor use for guest or kid to sleep as well as for outdoor use on the terrace or in the garden. 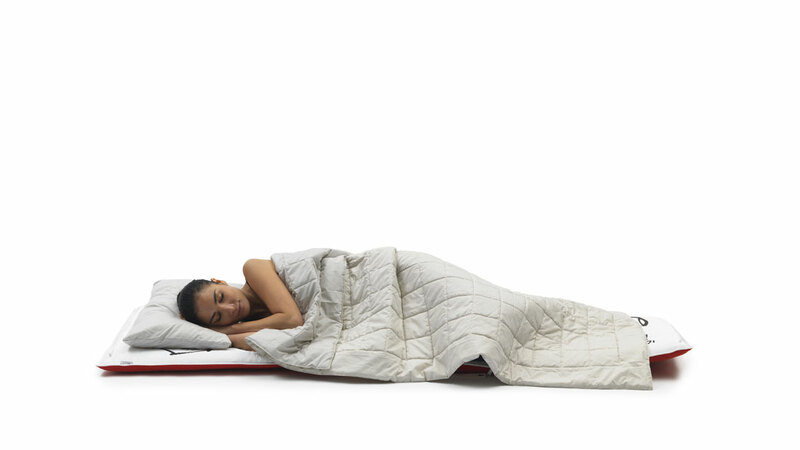 TOU is also useful when you are awake. 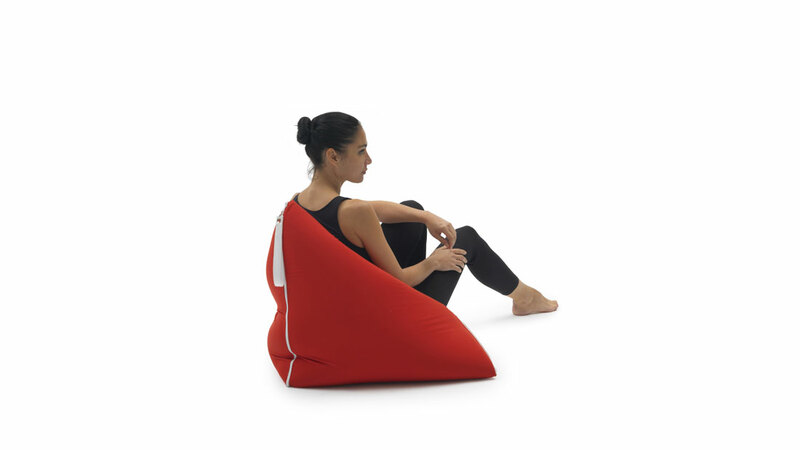 After zipping back the mattress to the bag with the pillow and blanket inside, it transforms into a relaxing seat by pushing one of intersectional points on the bag.